Shoplifting is a major issue for Walmart as the largest discount department store chain in the country. The company has five Ocean County stores located in Brick, Toms River, Lacey, Stafford and Little Egg Harbor and all of the municipalities have a robust number shoplifting charges. We know this not only from published court statistics but also as attorneys who comprise the largest criminal firm in the region. 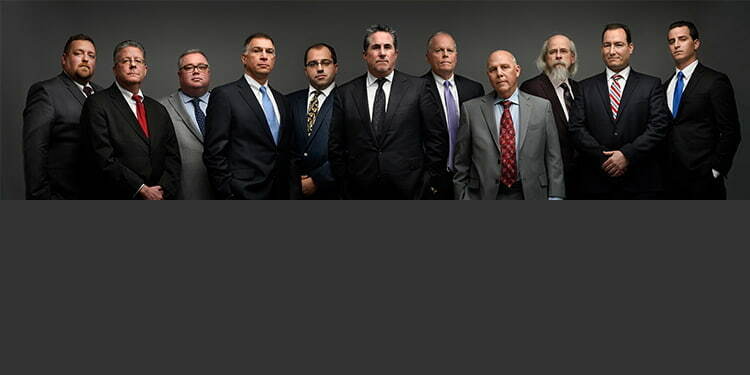 The eight defense lawyers at Law Offices of Jonathan F. Marshall have been representing clients charged with shoplifting for well over twenty years and one of the members of our team, Matthew Dorry, previously served as prosecutor in all five of the Ocean County towns where Walmart has a store (e.g. Brick, Lacey, Little Egg Harbor, Stafford and Toms River ). A lawyer is available to discuss your shoplifting offense 24/7 by contacting our Toms River Office. A free consultation is available immediately by calling (732) 286-6500. If you shoplift $200 or more of merchandise, your conduct results in an indictable offense, the equivalent of a felony, under N.J.S.A. 2C:20-11. Shoplifting charges of this nature can only be dealt with at the Criminal Division of the Superior Court. Whether you were arrested and charged with shoplifting at the Lanoka Harbor Walmart (a.k.a. Lacey) or at the Walmart in Stafford, Little Egg Harbor or another location, the case will have to be sent to the county courthouse. Shoplifting of $75,000 or more is a second degree crime that carries 10-20 years in prison and a $150,000 fine. Stealing at least $500 but less than $75,000 is a third degree crime that triggers a fine of up to $15,000 and a period of incarceration that can reach 5 years. Shoplifting $200 but less than $500 from Walmart results in a fourth degree crime and a fine of up to $10,000 and a potential jail term of 18 months. When a retail theft involves merchandise with a value of less than $200, the violation is a disorderly persons offense. This type of shoplifting falls under the jurisdiction of the municipal court where the Walmart retail theft occurred. The penalties that you face for a municipal court shoplifting offense (a.k.a. disorderly persons offense) include a fine of up to $1,000 and a county jail term of up to 6 months. Stafford Township is the home to the Manahawkin Walmart. If you were charged with shoplifting in Stafford or any other municipality where a Walmart is located in Ocean County, you need to hire the best attorney you can afford to defend you. The reason is because the penalties under 2C:20-11 have the potential to be very serious as discussed previously. A skilled lawyer is going to provide you with maximum protection against the consequences associated with a conviction. The attorneys at our firm represent a highly qualified option in this regard. Law Offices of Jonathan F. Marshall has an eight member team of criminal attorneys who can offer you over 100 years of experience including invaluable time learning how the court system works from the opposite perspective as prosecutors. Call our Toms River Office at (732) 286-6500 for a free consultation.